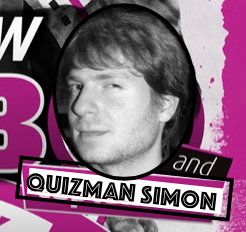 Since 2005 James Oakley has been masquerading as Sir James Lord of Quiz and bringing his own unique socially aware quiz nights from the Shawlands to the West End of Glasgow and beyond. Sir James has hosted Quizzes at all occasions – in pubs, at weddings, and birthdays, everyone loves a good fun quiz. 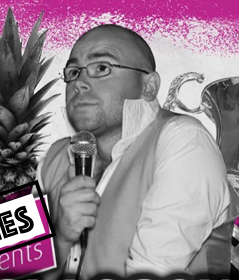 As well as being a top Quizmaster, Sir James is also a capable DJ, Bingo caller and all-round raconteur who can make your event go with a swing, and then marry you afterwards. 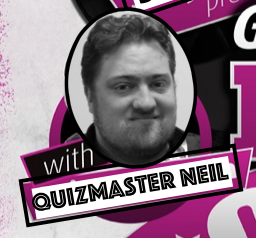 Neil's impressive banter and vocal abilities will have you entranced. He is to the pub quiz, what Simon Cowell is to reality singing contests. Instead of high waistband trousers though, Neil prefers a waistcoat. ​left the stage for the bright lights of the pub quiz? 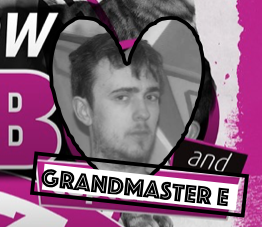 When not bringing the laughter to crowds as a stand up comedian, Eamonn flounces about with quiz questions and rap music pretending to be Glasgow's first gangster-rapper-quizmaster. Warning: May not be fire retardant. When not hosting his own quiz on Bank Street, Stephen kindly lends his quizmaster skills to the Sir James school of quizmasters. A gentleman and a scholar, literally. 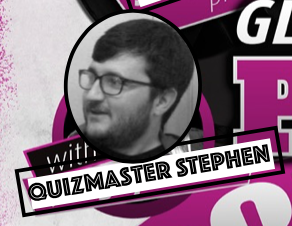 One innovation Stephen has pioneered in the Glasgow pub quiz scene is a new spin on the good old fashioned 'clue from the quizmaster', but if you're expecting lots of hints you might be disappointed. These things have to be carefully deployed.